We will pick up your dog from our local area and walk them for an hour. Your dog will be walked in a variety of locations eg. open fields, woodland areas and country parks. Your dog can be walked on or off the lead, this will be discussed with you upon booking and during your free initial consultation. Whatever your requirements, we try to be flexible. Maybe your dog needs walking just as a one-off, alternatively you may require something more regular. Our aim is to try to accommodate your needs. Dogs are walked as part of a group. They must not be aggressive. Ideally they will have good recall but this is something we can address through training. Dogs in season are not able to be walked. We are happy to walk dogs of all shapes and sizes. We are large dog owners ourselves and nothing phases us. If you are planning a holiday or work during the day, we can take care of your dog in our home. We know from experience, it is often a cause of stress or worry, thinking about who can look after your precious pet in your absence. 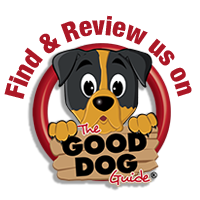 Who can you find that is reliable, trustworthy and give the kind of care that you would expect and your dog deserves? We will leave you to go on holiday happy and secure in the knowledge that your pet will be cared for and treated with love and kindness. We will listen to your requirements and stick to your routine as close as possible. During the day, your dog will be walked for at least an hour (unless you stipulate otherwise) and be taken on a variety of different walks. Your pet will be treated with the same care as our own dogs and will live as part of our family. Your pet will be played with and given affection by all members of the family, who understand how to treat and respect dogs. Your dog can play in our garden and will sleep downstairs at night with our own dogs, be it on the floor or the sofa! All we ask of you is to supply your pets bed if they use one, their food and ensure that their vaccinations, flea and worm treatments are up to date. Please note that all dogs that come for daycare and boarding must be non-aggressive and a meet and greet with our own dogs will be arranged beforehand. They must be house trained, unless still a puppy, and not incontinent. Once you have met with us and are happy, to secure a booking, we would ask you to complete our booking form, which we will give to you. Ideally, 4 weeks' notice is required for boarding but we will try our best to accommodate you if it is short notice. We will also require full payment two weeks before your dog is left with us. We look forward to speaking/meeting with you and your dog soon! Even with the most understanding boss and flexible working hours, it's not always easy getting from work at lunchtime to look after a demanding puppy. Forget the worry and let All Seasons make sure your puppy gets all the love, attention and fun they need while you carry on with your working day. We can visit your home during the day to feed your puppy and let them out for that all important toilet stop and a little play to keep them going until you get home. If you are away for the day and don't require your dog walking but would like us to pop in to let your dog out for the toilet, maybe feed them, we can provide this service for you. The service of the pet taxi is great for those occasions when you are not available to pick up or transport your animal. This service includes, picking up your animal and taking them to your desired destination, whether that be the vets, a friends or elsewhere. This service gives you complete peace of mind that your pet is in responsible hands and will arrive at their destination safely.